My name is Richard Oakley and I started this site. Our family tree is posted online on this site! There are 95 names in our family site. Terrance Dixon updated the details of <Private> Mack and <Private> Dixon in family tree Oakley Family Tree. 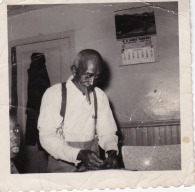 Terrance Dixon added <Private> Mack and <Private> Dixon to family tree: Oakley Family Tree. Richard Oakley invited Irene Oakley Johnson to the site. Richard Oakley updated the details of <Private> Oakley in family tree Oakley Family Tree. Richard Oakley imported a family tree from a GEDCOM file: (23 and Me). Terrance Dixon updated the details of <Private> Dixon II , <Private> II and <Private> II in family tree Oakley Family Tree. Terrance Dixon added <Private> Dixon II , <Private> II and <Private> II to family tree: Oakley Family Tree. Richard Oakley updated the details of Thomas Van Ness, Sr. in family tree Oakley Family Tree. Richard Oakley updated the details of Margaret Van Nest and Unknown in family tree Oakley Family Tree. Richard Oakley added Margaret Van Nest and Unknown to family tree: Oakley Family Tree. Richard Oakley updated the details of Steward Thomas Oakley in family tree Oakley Family Tree. Richard Oakley updated the details of Steward Thomas Oakley , <Private> Oakley , <Private> Hogan , Mamie Oakley (born Beets) and 1 other people in family tree Oakley Family Tree. Richard Oakley updated the details of <Private> Hogan in family tree Oakley Family Tree. Richard Oakley updated the details of Steward Thomas Oakley and <Private> Oakley in family tree Oakley Family Tree. Richard Oakley added Steward Thomas Oakley and <Private> Oakley to family tree: Oakley Family Tree. Richard Oakley added Kenneth Van Ness to family tree: Oakley Family Tree. Richard Oakley updated the details of Edna Van Ness , Anna Brown , <Private> Van Ness, Jr. , Ernest Van Ness and 4 other people in family tree Oakley Family Tree.